An honest view of motherhood. Oh God, I’ve turned into one of those parents that gush over a squiggly, smudgy, sticky picture drawn by my child. And I’m not the only one – when presenting said picture to his Daddy this evening I could see the same gush of emotion wash over him. A childless me would turn away from these pictures with a rolled eye if I ever saw them. Visiting friends or family and looking on fridge doors, making all the right ‘coo’ noises thinking ‘my God, what the blazes is that supposed to be?’ and ‘don’t be ridiculous, it’s utter shite’. 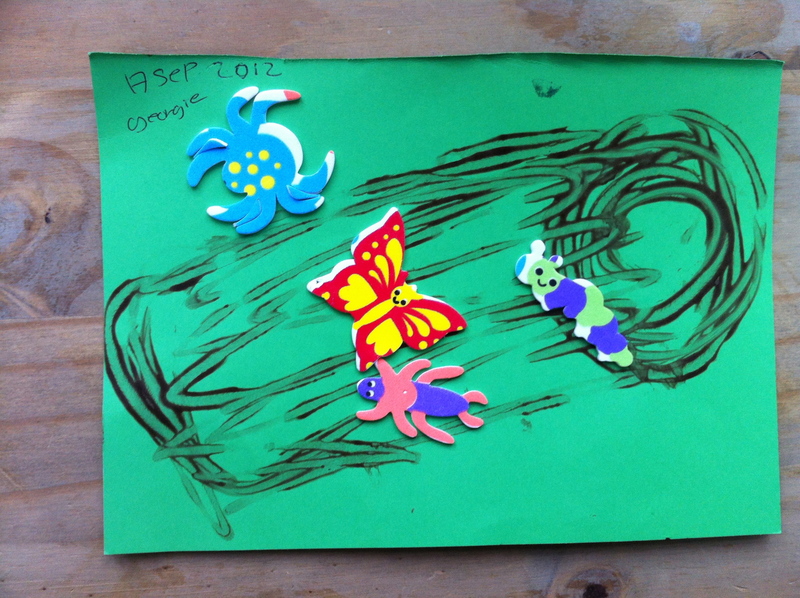 And here we are, on the 17th September 2012, with the very first picture our Son has drawn. He is 14 months old, and we are very proud parents. Before I pick up the phone to the Tate Modern, have a look. Good, innit. Who doesn’t love an update? We don’t need no education. Except that we do. Enter your email address to follow ababytwit's blog and receive notifications of new posts by email.